Some of my most popular Instagram posts feature bargains that I’ve bought from places like charity shops, carboot sales, or pound shops. I know these aren’t ‘cool’ places to shop generally and sometimes people might look down on this, but I honestly prefer the fun shopping experience of bargain hunting for more unique items. 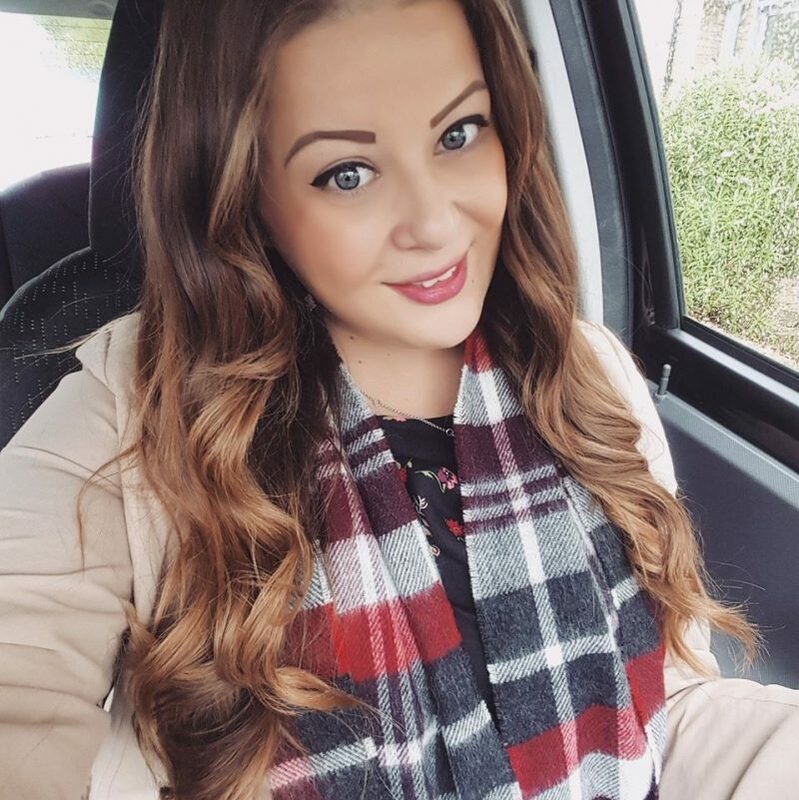 So I thought I’d share with you some of my money saving tips and favourite bargain buys which I’ve picked up recently to try and ease the stigma of buying second hand or in ‘cheap shops’. You can find everything from clothes, shoes, homeware and beauty products at super low prices if you know where to look! I’ve also been ranked as one of the ‘Best Money Saving Blogs’ in the Lifestyle category by SurveyBee. Check out their post to find lots of other similar money saving blogs, and you might also like to read my old blog post on saving tips. 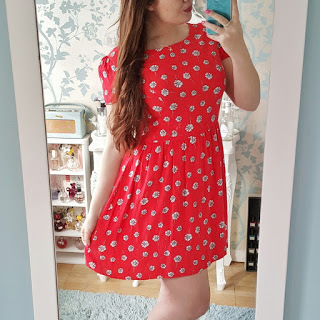 This heart print Oasis dress I picked up in a charity shop for £4.99 recently and I absolutely love it! It’s the perfect style, colour and print for me and it looks great with tights and a skinny belt to wear for work. This gorgeous brightly coloured geometric and floral print skirt is from the M&S Limited Collection and I picked it up from a carboot sale for only 50p. This Topshop daisy print dress has been one of my most worn outfits this year; it looks great with tights and boots in winter or tan sandals and a belt in summer. I picked it up for only £6 from a local charity shop and I’ve definitely got my moneys worth! I found this polka dot blue dress in an ‘everything 50p’ box at a carboot sale over the summer. It is a size too big for me, but with a belt to cinch it in at the waist I think it looks cute! I picked up these two suedette platform beauties second hand; the blue pair I bought on eBay for only £6 and the red ones I found in a charity shop for only £5! They’re both in perfect condition and look great dressed up with flared dresses or retro skirts. Homeware bits and pieces are probably my favourite thing to buy when thrift shopping! You can always find loads of gorgeous vintage pieces in charity shops for pennies. I found this set of two genuine Cath Kidston saucer plates in a charity shop for only 99p at the weekend! And the cute vintage floral teacup trio was only £3. I have a big collection of tea cups but I can never resist adding more! I also found this cute little white ceramic bunny egg cup for only 99p which I thought was a reasonable price and it fits in nicely with my other rabbit ornaments! I was also thrilled to find this Paperchase cupcake two tier cake stand new in box labelled as half price, so it was only £2.50! As well as pretty floral china I also like to collect nice glasswear. I actually bought a set of 6 little glasses this this floral pattern for £1 in one charity shop and then a few months later found the matching little bowl for 50p in another shop! So cute. Antique shops are another good place to look or vintage items, although often a bit pricier. But I’ve found a few good things in the part including this gorgeous vintage gold dressing table mirror and pretty crockery. I bought this cute teacup print biscuit tin which was originally from M&S from a charity shop for 99p a few weeks ago.. it’s perfect for storing fairy cakes and treats! I also found this set of tea cups for only £3.50 for the pair. Moving on from charity shops, pound shops also sell a really good range of goodies these days. On a recent trip to Poundland I found this adorable glass hanging plaque and also this cat door mat! For only £1 each… bargains! Poundland is my go-to place for finding beauty bargains! It’s very hit and miss though, so sometimes you can come up with a handful of things and other times there’s nothing worth buying. But recently I’ve picked up all of the above branded goodies for only £1 each including Nails Inc polish, Burt’s Bees tinted lipbalm, L’oreal nail polish, and Max Factor lip crayon. Some of their bits and pieces become my make up bag favourites and others are just handy to have in my handbag for when I’m on the go. Their stock changes often though so you’ve got to be quick! Love your charity shop buys! That Oasis dress is gorgeous! Some of that china is so nice. I've been reading this blog for years and swear you must surely have a garage full of it by now lol! Good spot on those clothes too, especially the polka dot dress, it's gorgeous!